If you are thinking about buying a separate pair of the shoes for outdoor basketball game instead of using the same as you use indoors, then you are surely true about your decision. It is important to have one of the best outdoor basketball shoes that you can trust on rough surfaces, environmental effects and all the rough and tough conditions which are not a part of an indoor basketball court. So here is a list of considerations and important things that you need to know and the best picks we have sorted after great effort to find your way and pick the best outdoor basketball shoes. How to Find Good Outdoor Basketball Shoes? Finding outdoor could be easy if you know in which conditions you will be wearing your shoe and which factors affect the shoe, directly and indirectly, that may affect the overall performance of the shoe and its appearance as well. The first thing that you need to sort out is a list of products from the Best basketball brand for outdoor use from which you would prefer to buy your shoes. This due to the fact you can never rely on things which have quality issues or which are not reliable. Brands like Adidas and Nike are most of the time go to options for most of the outdoor basketball players. The reason is their trustworthy performance, durability and specialized structure that supports the foot and keeps the players going on any type of court ground. The correct type of the shoe is necessary if you need to use it for a long period of time without compromising on its features, looks and comfort quality. 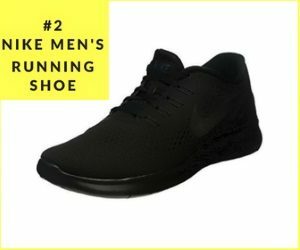 Indoor shoes are not capable of serving you outdoors and they may get into wear and tear issues quickly if they are subjected to outdoor conditions. Such shoes which do not match the requirements you have may wear-off quickly and get damaged easily. So make sure you choose the right type for the particular kind of usage. Comparing materials also help a lot in deciding what you need to wear on during the play and which materials would serve you best outdoors. Materials like high-quality synthetic rubber, synthetic leather, mesh fabric, and soft foam are usually used in making outdoor shoes. Level of comfort is another important thing we have to compare I shoes that are to be used for outdoor games. As a fact, outdoor courts and surfaces are not smooth and your feet should be having good support and comfort for keeping them in a better working position. Sufficient comfort also ensures lesser fatigue and muscle strain. Padding around the neck of the shoe, the tongue, mid-foot support, toe box padding and heel comfort are some of the key features we always have to look for and compare the padded areas and only take the shoe that has correctly placed sufficient padding within it. Ankle support and snug fitting of the shoe also ensures increased support and safety of the show for keeping up with the active and quick moves in the outdoor basketball game. Shoes having a slightly higher neck and lace-up closer would work the best. The overall structure of the shoe should be rugged and not easy to damage. Durable materials like high-quality mesh and synthetic rubber and leather ensure that the shoe will stay intact and will keep up with its performance features for a long time. Outsole pattern is one of the most important yet overlooked features among outdoor shoes. Because shoes that have bigger and deeper grooves are considered better than others. Most of the indoor shoes have less deep ad small sized grooves because they have to work on the smooth surfaces and not on rough courts. Outsole and insole materials have to be durable, high-quality and supportive and intended to play the specific roles they are supposed to serve. Insole should provide comfort and support to the foot and also keep it safe and in its natural form and posture as much it is possible. Whereas the outsole has to be made up of high-quality, flexible and durable synthetic rubber with the rugged design so that it can keep up with the rough court surfaces. Outdoor basketball shoes are supposed to confront dust and dirt and they are subjected to more environmental factors to compromise their appearance as well as structure. So it is better to have a material on the top that is easy to clean and durable as well. Flimsy shoes with thin upper and outsole are never meant to be used for outdoor basketball. Adidas assures comfort, durability, style, and support for outdoor basketball players. This specific pair of shoes also come up with the best possible features that would support your outdoor basketball game without compromising your performance. It has quality leather and fabric top and durable rubber sole. The shaft ensures proper support and measure mid-top from the arch. The upper comes out to be made up of synthetic leather while the back of the shoe is of mesh fabric to keep up with the breathability and air-flow needs. In addition to this, the specific perforated surface makes sure the foot stays free of sweat. The rear quarter of the shoe, the tongue, and the collar has the air mesh fabric lining to keep the foot cool and dry. The Cloud foam sock liner and also the midsole support ensure, comfort and support without increasing the weight of the shoe to keep it easy. The High Grip outsole rubber makes it suitable for outdoor basketball courts. When you need to look for style, comfort and performance at the same time, you need to look into this shoe. This is surely a winning combination of synthetic leather, durable rubber outsole and meshes fabric patches on the upper for increased breathability. The shaft is approx. high-top from the arch and keeps you in an active position with support and comfort at the same time. The synthetic materials ensure lightweight structure that ensures durability without making it heavier. This shoe is more like a hybrid shoe with low-sew construction and breathable materials for better performance. The DuraSpring Midsole materials offer high rebound performance, stable foot posture and impact resistance when the foot moves. In addition to this, the 3-dimensional shank stability feature keeps the arch supported well and provide enough rigidity for the foot. This extremely flexible yet supportive synthetic textile shoe is one of the most durable shoes you can find for your outdoor games. All imported materials and durable, rugged and high-end rubber outsole make it perfect for outdoor usage. The BOUNCE offers actual energy and keeps you going during the game. In addition to the flexible fabric upper, the synthetic overlays keep up with the support needs of the foot. The mid-foot features TPU panel to keep the foot stable. Ankle support and snug fitting keep the foot safe and comfortable within the shoe. In addition to all these structural features, the high-quality rubber made outsole keeps the grip on the ground stable and also helps in making quick moves without slipping off the ground. As for outdoor basketball, you need to have arch support, ankle support and sufficient toe box and heel posture to help you with the continuously changing surfaces and positions. You have to make sure you wear the most supportive and comfortable shoe. This is one of the Adidas basketball shoes that provides added support to the ankle area through high shoe neck and snug fit around the foot. The XENO upper is made up of flexible, durable mesh fabric for increased comfort and breathability. The durable rubber outsole offers support, grip on the ground and stable moves. The ‘BOOST’ inner cushioning ensure to provide energy and bounce back a response for high-level performance. Whereas the midsole is also wrapped with the help of TPU wrap for increased durability and composed performance of the shoe. Nike New Men’s Prime basketball sneaker comes up with all the high-quality materials including mesh fabric and synthetic rubber sole for increased comfort and durability. The shaft is around 2.5 inches from the arch. The perfect combination of mesh fabric and synthetic rubber makes it durable and lightweight for pressure free usage. The high collar of the shoe supports the ankle areas to avoid twisting of it. For better support in action, the Fly wire cables make sure to keep the foot safe and give lateral support as well. Large outsole grooves off perfect traction. The synthetic leather and rubber sole shoe by Adidas ensures breathable, lightweight and highly supportive shoe structure for outdoor basketball players. It ensures snug fit, comfortable lateral and bottom support. The pores on the upper keep it breathable for keeping the foot easy and dry through continuous ventilation. The upper features the Sprint Web that increases breathability and a well- structure and lightweight support. The insole has sufficient cushioning for increased stability and comfort. Outsole ensures high-quality support, perfect traction on any kind of ground and no-mark material. To offer increased support and boost the energy as the foot moves, the midsole also is equipped with so that you may play to your full potential with least effort and impact on your foot. This shoe has been designed to keep the foot snugly fitted, safe from twisting and has perfect grip and traction on a wide range of surfaces. The complete mesh upper for increased ventilation and flexibility offers lightweight comfort whereas a durable and flexible rubber sole offers support, easy and stable traction on the ground. The shaft of the shoe is about 3 inches from the arch that keeps the foot in its best form whereas the Zoom Air in the forefoot area make sure to provide pressurized air packs making the shoe flex when the foot exerts pressure. This sort of action offers responsive action through cushioning and support. The fully supported and continuous CUSHLON midsole foam offers soft and comfy cushioning for keeping the foot relaxed. The high-quality Pylon wedge in the heel also keeps the heel easy and supported. increasing the overall weight. The rubber outsole feature herringbone structure and grooves for increased flexibility and safe performance. Due to its perfect ankle support, toe, midsole and heel cushioning, this one works best for outdoor basketball players. This mesh basketball shoe for young players offers comfort, stability, high-energy performance and support to the foot so that young players play confidently. The rubber sole offers good traction and keeps the foot grip stable on the ground. The shaft is about 3 inches from the arch for the best support and active posture of the foot. The Fly weave structure offers lightweight and comfortable shoe structure that is supportive and durable. Fly wire cables make sure to keep the forefoot stable and easy during active moves. Pylon offers cushioning that will not increase the weight of the foot. ZOOM Air system offers responsive cushioning to boost the energy with least impact on foot muscles. This is one of the best options for kids to have them for their outdoor basketball game. Synthetic leather and textile constructions offer balanced form and structure for better support and easy moves. The shaft is low-top from the arch and the sole offer sufficient cushioning for keeping the foot comfortable. Synthetic three stripes band, Adidas signature shell toe makes sure to keep the foot stable and safe during the aggressive game. Finding the best outdoor basketball shoes make sure you are caring for your feet and are also are willing to perform at your best. 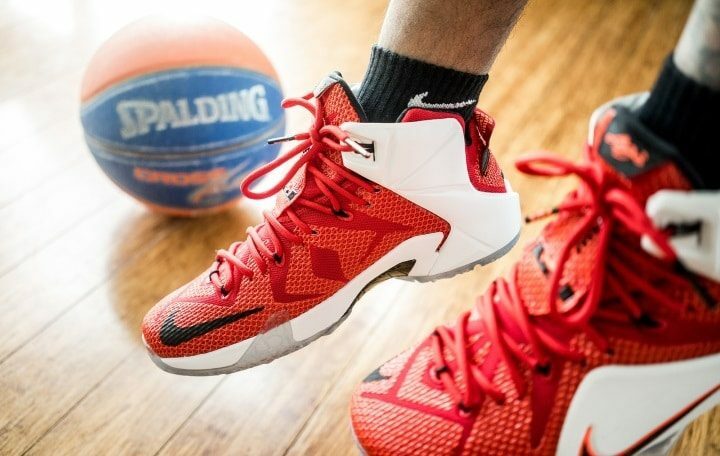 This is due to the fact when you have the best shoe for your outdoor basketball game you are going to perform actions without putting much strain on your foot muscles.